Congratulations to our prizewinner, Rob Wario Gailer of QLD, who successfully Liked, Shared and Commented his way into winning the draw in Week One. 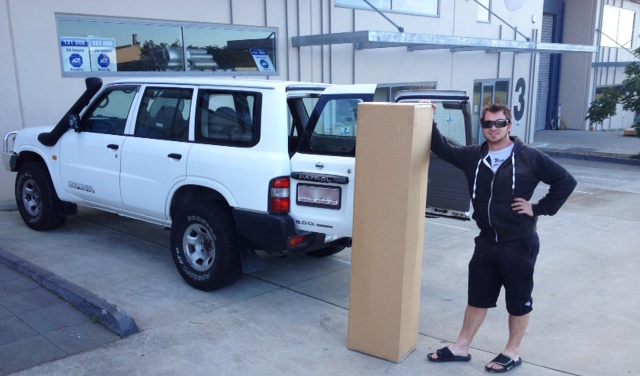 Rob has a young family and a 2001 Nissan GU Patrol … and now he has a brand new Genie Invader performance exhaust. 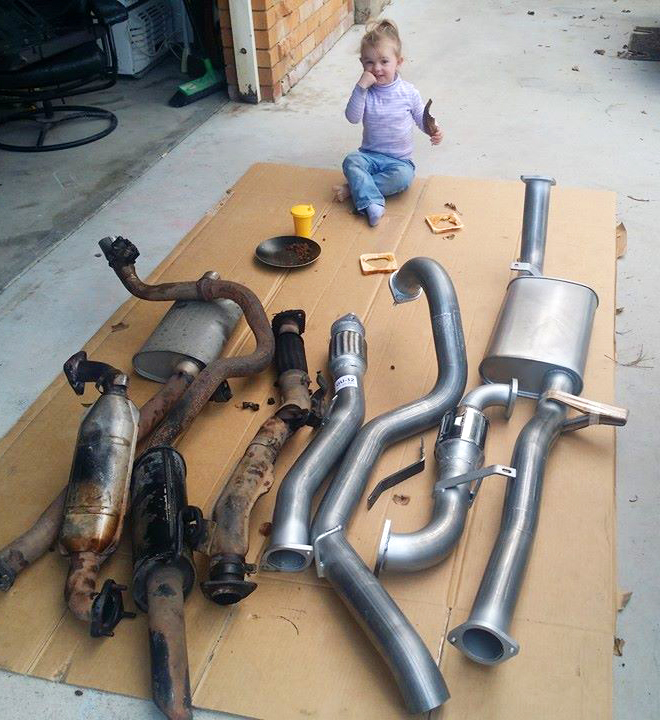 Rob said his old exhaust had seen better days and he is “loving the upgrade, half the weight of the original”. Easy DIY installation has never been this cute. The peanut butter gaskets are an optional extra. The Genie Invader 3″ performance exhaust delivers significant power gains over the stock system, far more responsive at lower revs – the turbo kicks in much faster in the real-world driving range, and towing at highway speeds is stronger – you won’t be changing down a gear all the time at the slightest incline. Don’t miss your chance to win – there’s 5 more weekly draws to go.